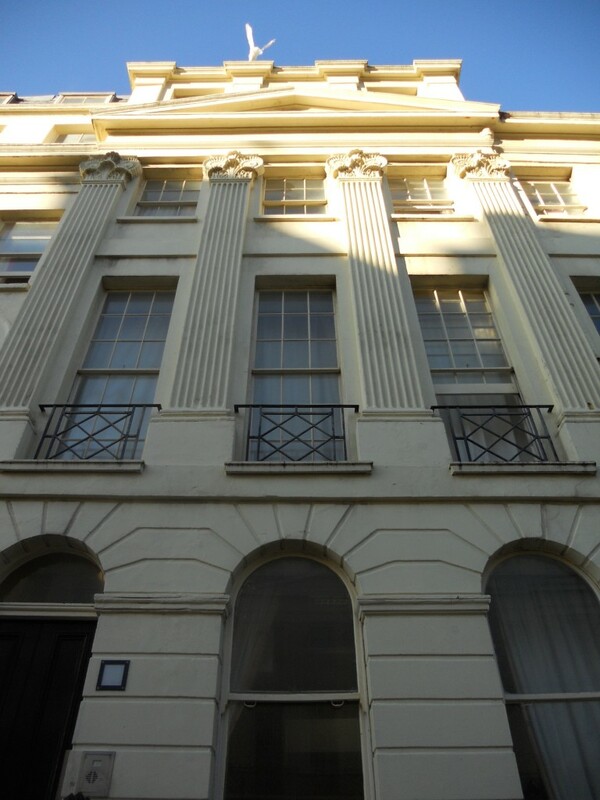 A building that was recently shown to me by Andy Winter, Chief Executive of BHT, was the First Base Day Centre on Montpelier Place in central Brighton. I thoroughly enjoyed writing about that wonderful facility which serves as an open door haven for homeless and other vulnerable people. I met with Andy once again to see another BHT undertaking – the Phase One Project on Oriental Place. 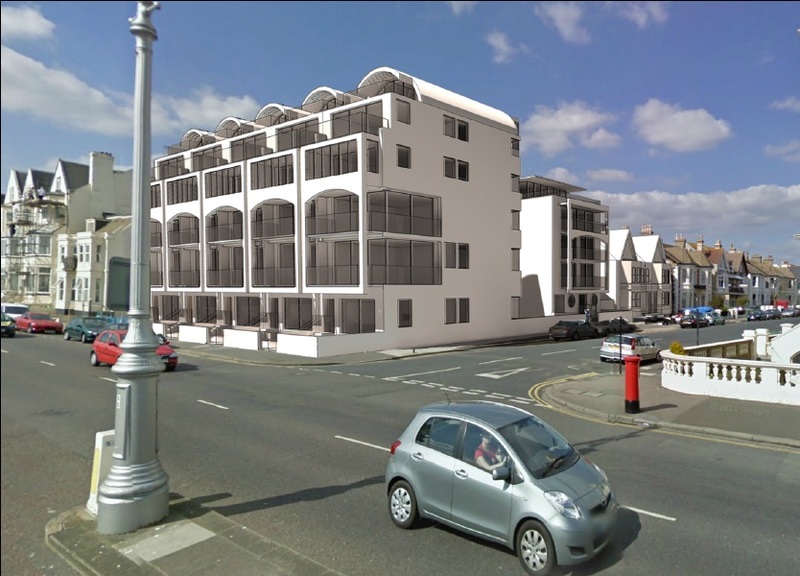 Phase One consists of four Regency townhouses that were amalgamated during the 1930s. The combined structure was run as The St Ives Hotel until the owners retired in 1964, at which point it became a YWCA that was known as The Regency House Hotel. The Regency Project, a photographic book by Richard Rowland, gives all sorts of clues as to the dreadful condition of the Grade II* listed buildings when BHT took over in 2002. It wasn’t long before works were planned to drag the establishment into the 21st century. Olli Blair of DRP Architects (now of ABIR Architects, a firm that I often mention) was responsible for planning the project which apparently ended up costing £2,622,213 (I don’t know how many pence). There were 59 men in residence when BHT bought and many were able to stay during the works by means of dividing the project into two halves. Two of the four buildings were vacated and transformed, followed by the other two once their occupants had been moved across. Lath and plaster partitions, woodchip wallpaper and orange-stained decorative pine boards were all consigned to the skip. It is quite clear from Richard Rowland’s photographs, and from the friendly and dedicated BHT team, that the buildings were in a terrible state prior to the housing trust’s involvement. Merging four townhouses into one gives rise to the inevitable problem of there being too many front doors and staircases, whilst original corridors run back-to-front, rather than across. In the case of Phase One, two of the front doors have been removed, but the extra staircases are really a blessing when it comes to fire precautions. As for corridors, on the ground floor at least, space has been taken from the large front rooms to create a logical thoroughfare between the buildings. It works. 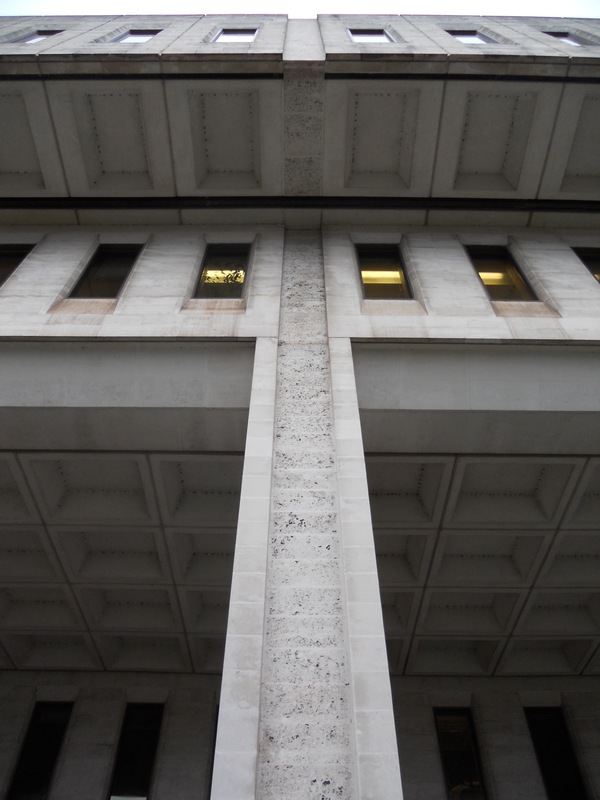 BHT’s uncompromising drive to provide quality accommodation for the vulnerable, and Olli Blair’s architectural flair, proved a winning combination. A Sussex Heritage Trust Award and a Green Apple Award were certainly deserved. It’s hard to believe but, at 310m, The Shard is more than three times the height of Brighton’s tallest tower, Sussex Heights. The site occupied by The Shard was previously home to the 100m high Southwark Towers which towered over London Bridge station. To put this into perspective, Sussex Heights stands at 102m. To knock down something so substantial, that was built as recently as 1976, and still make a profit, the new building had to be huge. As the tallest building in the UK (and ‘the EU’, whatever that means), it is immense. 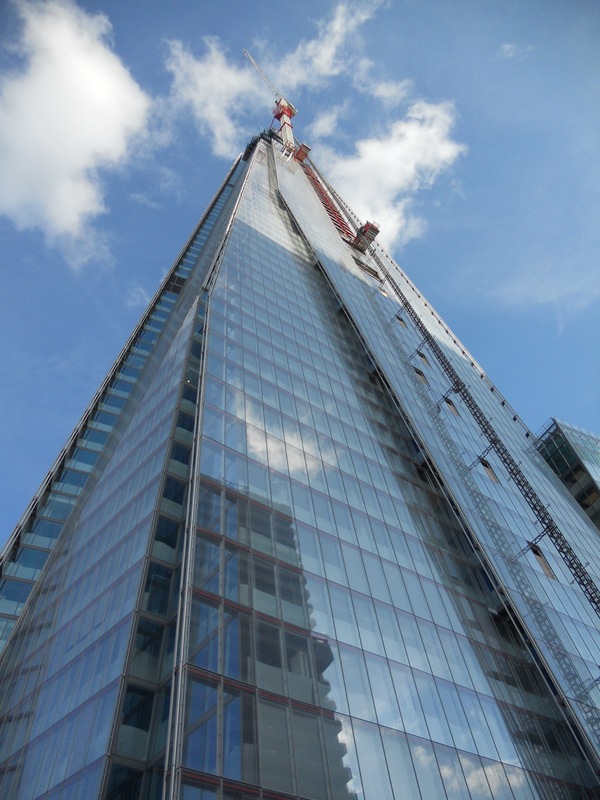 The Shard is said to have been conceived in 2000 at a meeting between Italian architect Renzo Piano and London entrepreneur Irvine Sellar. Like all great ideas, it started as a sketch in a restaurant. The wider project includes the reconfiguration of the adjoining bus station, improvements to the train station below, and the construction of a shorter accompanying building called London Bridge Place. The firm Mace was appointed as project manager in 2004 and then as building contractor in 2007. 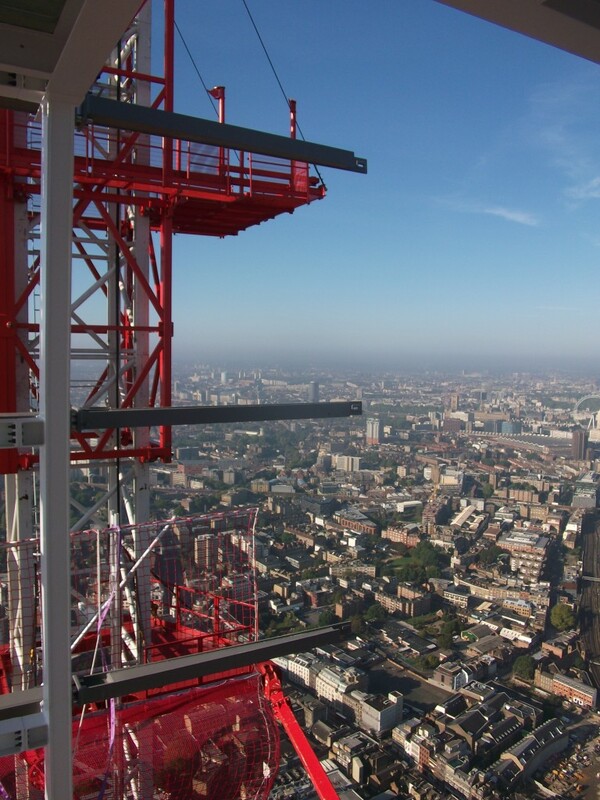 With a workforce of around 1,000 on site, The Shard is set to be completed this year at a cost in the region of £450 million. It is the world’s first skyscraper to use a top-down construction method for its structural core which means that floors were being dug underneath whilst the building grew above. It also features the largest continuous concrete pour that the UK has ever seen. Plane warning lights at key points remind that this building is incredibly tall. There will be 95 floors in total. 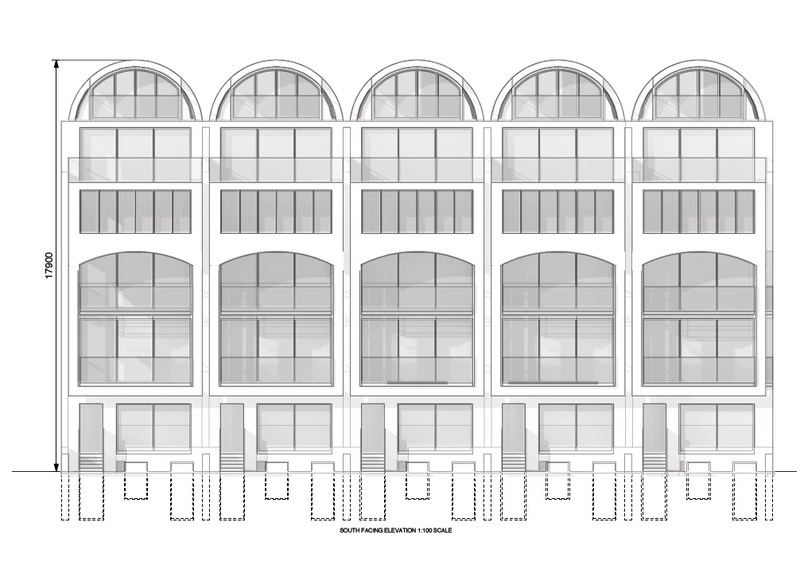 The lower floors (2-28 so I use the word ‘lower’ loosely) will be offices. Above these will be a Shangri-La Hotel (34-52) followed by flats (53-65), an observatory (68-72) and a spire. The view from the top really is quite something but I personally prefer views from around the 30th floor. As a former resident of Sussex Heights, I recall a similar situation where the views from the 15th were more interesting, but less breathtaking, than those from the 25th. It is all about being able to see people on the ground or in nearby buildings. The alternative is a view similar to that from a plane. A love of 65th floor views is not the only requirement for ownership of the penthouse. There is also the small matter of the estimated £200 million asking price. 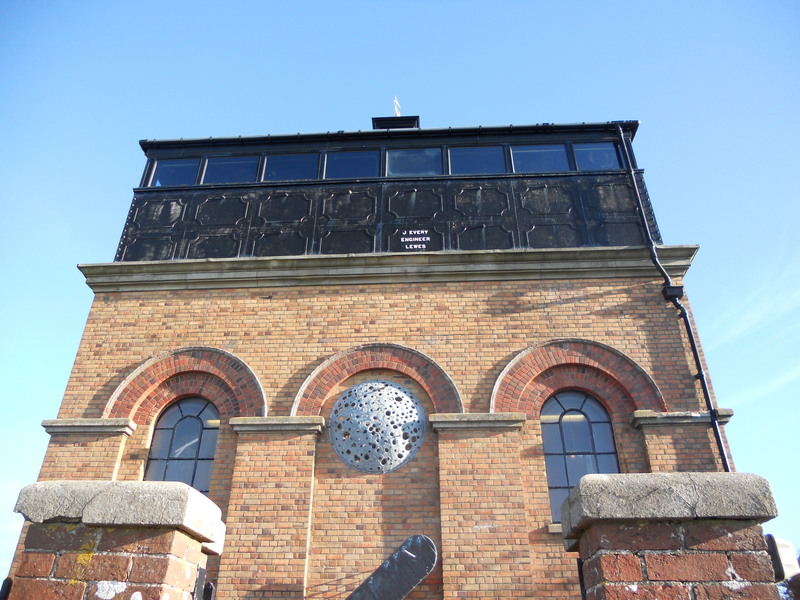 After several years of dereliction, Foredown Tower in Portslade has reopened as a learning and visitor centre. It is no accident that Foredown Tower sits on a wind-swept hill, a fair old distance from the majority of people living in Brighton & Hove. After all, it originally served as the water tower for Foredown Hospital, a sanatorium for those with infectious diseases. Construction of the hospital began in 1883, a time when there were no houses at all in the vicinity, and its water tower in 1909. The hospital was demolished in 1988 though a terracotta plaque which bears the date AD 1833 survives in the wall of the fairly non-descript housing development that replaced it. 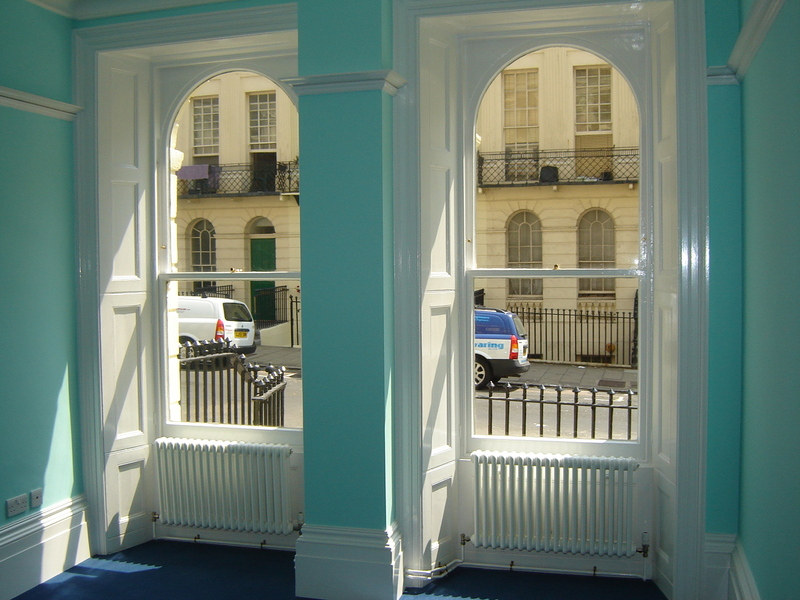 Each was a typically solid Victorian structure with the potential to last hundreds of years. The tower was spared fortunately and reopened in 1991 as home to a camera obscura. The camera lives at the very top of the tower, within a large room that consists of the old water tank itself along with a raised section above with a pitched roof and windows. There are around ten camerae obscurae (I love that plural) in the UK which makes it all the more upsetting that ours is not yet fully open to the public. I was recently invited by Foredown Tower’s Centre Development Officer, Jayne Routley, to attend a reopening ceremony with Mike Weatherley MP to commemorate the building’s new role as an adult education hub. 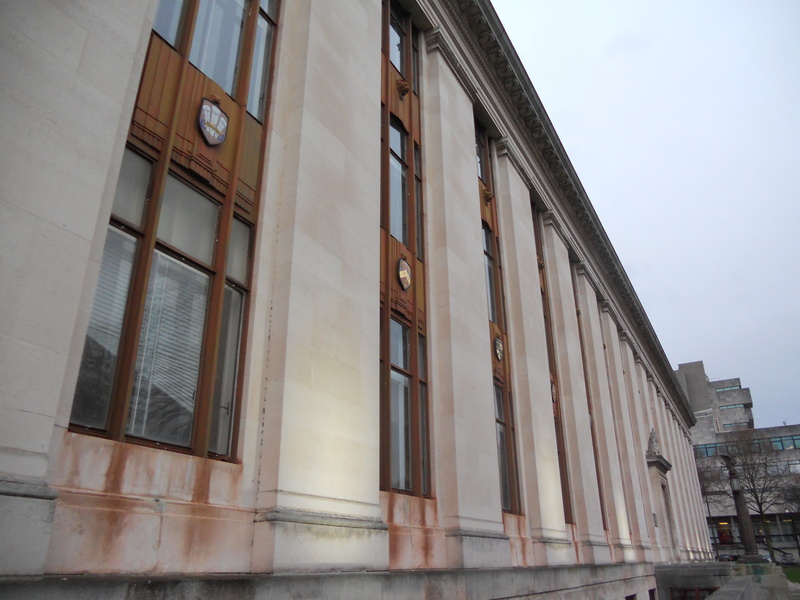 A programme of works is now underway to adapt the building for its new use. This has so far seen repairs to the path and will eventually see the replacement of the current unsuitable windows. The famous camera obscura won’t be open fully open to the public for some time yet. My recent trip up to Foredown Tower reminded me of just how much I love non-residential Victorian architecture. 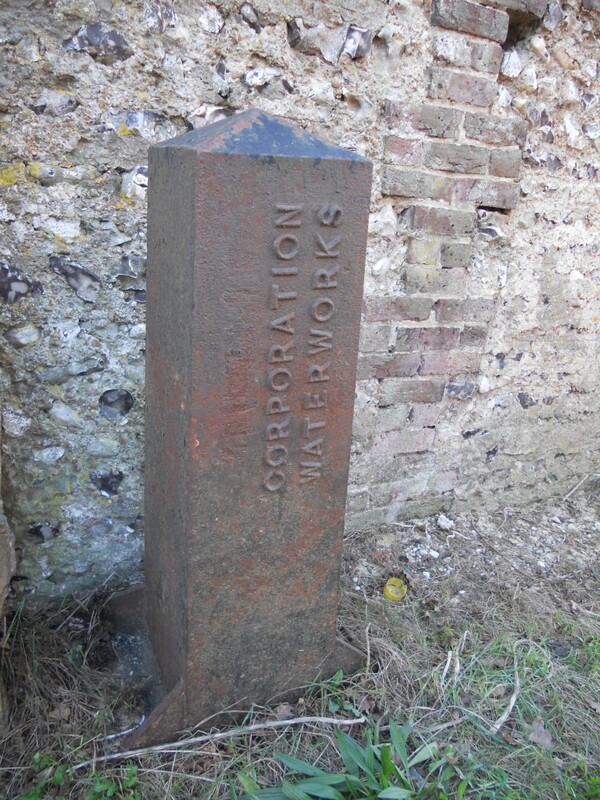 Not only were Victorian waterworks, stations, schools and hospitals built to last, they are each packed with use-related paraphernalia. Whether it be the tower’s water tank and its over-sized ballcock, or the water corporation’s iron boundary markers outside (with the location removed to apparently confuse the Germans), or the hospital’s speaking tubes (like those on battleships) which are now gone forever, the features are fascinating. Courses at Foredown start in January and will, to my pleasure, include some local history classes by popular local lecturer Sarah Tobias. See www.portslade.org.